Laws are created and put in place to keep some semblance of order and safety within communities. Law enforcement officials have the job of making sure those laws aren’t being broken. And, in whatever capacity their position allows, law enforcement officials are our frontline in protecting against those who break the law. Apprehension, investigation, and prevention are the law enforcement officials main m.o. If law enforcement is the career you’re thinking of heading into, then you have quite a few law enforcement careers to choose from. Find out the basics about some of the most popular law enforcement jobs. Accident investigators are needed for any type of vehicular accident, whether it’s a car, boat, or plane. It’s usually insurance agencies that employ accident investigators, and they prefer their recruits to have some background in law enforcement. Although a college degree isn’t necessary, most employers prefer their candidates to have a minimum of an associate’s degree. Since this field is highly competitive, a degree will give you an edge over the competition. It’s also best to have some experience in the area of accident investigation you’ll specialize in. One example is, if you think you want to be an airline accident investigator, you probably should have a pilot’s license and have an understanding of how airplanes work. And if the railroad is your specialty then having some sort of background in that industry will benefit your in your desired career. To become an accident investigator, you must first have a high school diploma or GED. You must have an eye for detail, as you are in charge of piecing together accidents through collecting and examining the evidence around the traffic accident. Very much like a storyteller, an accident investigator will be able to recreate the ‘story’ of the accident through all the clues left behind. As an accident investigator, you must also have pretty outstanding people skills. You’ll be interviewing witnesses as well as the victims and, in order to get the information necessary, you need to give off comforting and trustworthy vibes to get them to talk. Each state has their own licensing requirements for accident investigators. You’ll need to find out the exact specifications from your chosen school’s office, they will be able to guide you in the right direction. Another fact to be aware of is there are continuing education requirements for accident investigators but, like licensing, each state has different guidelines. The average salary for accident investigators is $62,980. Entry level salary is in the high $30,000 range while those who have years of experience under their belt can bring in close to $100,000 annually. There isn’t a big job growth expected over the next 10 years but accident investigators will still be able to find jobs. Because the supply might outweigh the demand, it will only benefit you to have a degree and related experience when applying for jobs in this competitive field. Animals have rights and animal cops, or otherwise known as animal control officers are at the front line of animal safety. Without a doubt, these everyday heroes who dedicate their lives to the protection of our furry friends, have giant hearts. Animal control officers are hired by either the city or county and act to protect communities for both the animal and their humans. If there is any type of animal abuse, a stray animal, or one that is deceased, an animal control officer is called to the scene. To become an animal control officer, you must be a minimum of 18 years old, a high school graduate or have a GED. Many employers will give potential hires a drug screening and a background check. It is also recommended that you have some experience in working with animals. If you need to gain that experience, try volunteering at an animal shelter, veterinary hospital, or humane society. Depending on the agency you want to work for will determine your educational path. Having an associate’s or bachelor’s degree in animal science, animal management, or related fields is highly recommended for those looking to become animal control officers. Expect to take classes like animal nutrition, genetics, and behavior. Many states, as well as employers, will require their new hires to have a certification. Two industries that offer these certifications for animal control officers are National Animal Care and Control Association, and The American Society for Prevention of Cruelty to Animals. You’ll need to pass with a ‘B’ or better, and expect to take continuing education courses in order to maintain your certification. The job outlook for animal control officers, according to the Bureau of Labor Statistics website, is 8%. Average job growth is between 5%-7%, so this job is growing right about the average range. With a degree and certification, along with related experience, job prospects should be decent. Bounty hunters, otherwise known as bail enforcement agents, are usually freelance agents who work with bondsmen to capture detainees who have jumped bail. Bounty hunters do not have the power to arrest anyone, but they are given the authority to bring the fugitive back into custody. Bounty hunters are prohibited in four states and not needed in four others that have no private bail systems. In all other states, there are licensing and regulatory requirements that must be met in order to provide bounty hunting services. Bounty hunter careers are not your typical sit behind a desk type of job. Office hours don’t apply to bounty hunters. If you are craving a job filled with adventure and danger, then becoming a bail enforcement agent is a great fit for you. You’ll need to be a good networker because you’ll be calling on your ‘friends’ for clues on where to find those who don’t want to be found. You’ll need to be able to think effectively under high-stress conditions. You definitely will have a clean record and be in excellent physical health. As a bounty hunter, you are not permitted to harm a fugitive. Bounty hunters aren’t allowed to break the law in any way but, because they are not police officers, there is a little more leniency. Depending on the state the bounty hunter is employed determines whether they are allowed to carry a weapon of any kind. A bounty hunter can not rely on steady income. They are paid a percentage of the bail once the fugitive is apprehended, whether it takes a week or a year. Generally, bounty hunters receive between 10-25% of the bond. The bigger the bond, the bigger the paycheck. Also, more experienced bounty hunters are more popular with the bondsmen and therefore, they typically earn more income. On average, a bounty hunter earns between $50,000-$80,000 annually. It is a small world, after all. Especially with the Internet instantly connecting everyone across most borders. While the Internet is mostly all good, there is always evil lurking in some of the darkest corners of the web. Hackers, who steal information and use it for mischievous or immoral activity are just some of the crimes Computer Forensic Investigators investigate. Others include following digital footprints across the Internet landscape in order to solve crimes. Most Computer Forensic Investigators have bachelor’s degrees in computer sciences along with experience in criminal justice. There are some certificate programs available through trade schools and community colleges. With certificate programs, expect to take 15-20 credit hours. There will be courses such as computer systems security, web development, network administration, and information systems management amongst many others related to the career of Computer Forensic Investigator. Continuing education is a must for Computer Forensic Investigators, especially due to the fact that technology is in a constant state of refresh, as are cyber crimes. Computer Forensic Investigators need to stay one step ahead of internet fraud trends. There are no licensing requirements specific to Computer Forensic Investigators but there are optional ones that are recommended if you want to get ahead in this competitive career. It’s important to note that some states do require Computer Forensic Investigators to be licensed as Private Investigators so found out from your state if this is a necessary step you need to take. Optional certifications for Computer Forensic Investigators are the Certified Forensic Computer Examiner (CFCE), and the EnCase Certified Examiner. The salary for Computer Forensic Investigators is heavily based on experience but the median annual pay is $73,660. Entry level CFI’s will make $43,190 and those in the top 10%, with the most experience, will earn an average annual salary of $119,940. A correctional officer career isn’t for everyone, that’s for sure. The job of a corrections officer, or detention officer, can be very fast-paced and extremely exciting as they are in charge of keeping order amongst the detainees who are in a county jail or federal prison. Where the correctional officer works depends on the acquired training. Wherever the correctional officer works, you can be certain they are running the show. There is quite a bit involved in becoming a correctional officer. First of all, you must be 18 and the proud owner of a valid driver’s license, a high school diploma, or a GED. You have to be a U.S citizen with no felony record. From there, you need to decide if you want to work on the federal or state level. To work in the federal government as a correctional officer, you will need a bachelor’s degree. Military experience does count toward your credits. To be considered to work on the federal level, the Federal Bureau of Prisons requires 3 years of full-time experience working as a counselor, assistant, or supervisor, along with a bachelor’s degree is required. Training academy, a working knowledge of firearms operations, self defense, and institutional policies are taught to those in entry level positions. Federal and state-level correctional officers make a median annual salary of $40,530. With more years on the job, filled with experiences, correctional officers can make well over $70,000 per year. Government employees, such as correctional officers, have great insurance and retirement benefits. A huge money saver is the fact that correctional officers wear uniforms which are usually provided so they don’t have to spend money on a work wardrobe. Entrance exams may be required to get into a training academy. This differs depending on the state, though. Exams may test the physical strength and stamina of the aspiring correctional officer, along with a written exam testing the knowledge of legal issues. There may also be a psychological exam. Job growth for correctional officers is pretty standard, at 4% over the next ten years. However, prisons are overcrowded, and there is a large turnover rate with correctional officers so finding a job won’t be that difficult for those who are qualified. The more degrees and certifications you have, the better your pay has the potential of becoming. Take this pre-employment practice test to see if becoming a correctional officer suits you. You’ve seen them on television, picking up a nearly invisible hair off the couch on the set of a crime scene, and then proceed to solve the entire whodunnit based on that blonde (or brunette) strand of locks. And you’re riveted, transfixed. Your calling is to be a Crime Scene Investigator (CSI). You’re ridiculously meticulous, and you can tell if something is off just by a glance, and you’re so organized that your folders have subfolders. When you talk, people listen and, not only that but, there’s something about you that gets normally silent people to spill out their autobiography. Becoming a crime scene investigator is in your blood. In the lab, you’ll perform tests using various chemicals on biological materials. Utilizing all the evidence you found at the scene of the crime, you’ll run it all through a battery of tests to solve the puzzle of the crime, how the suspect is related to the victim, and many other pieces of pertinent information. Slow down there, Speed Racer. You can’t just step on the accelerator and suddenly you’re a CSI, there are a few major stops to make along the way. Graduate high school or get a GED. Get yourself a bachelor’s degree in chemistry, biology, or forensic sciences. Head off to the police academy, which is necessary because CSI’s are sworn in as police officers. Get yourself some on-the-job work experience, using under the tutelage of a senior investigator. Study for the exam and get certified by the International Association of Investigation (IAI), which needs to be renewed every five years. And, continue with your education. Because, the more education you have, the better your career and salary has the potential to become. According to the Bureau of Labor Statistics, crime scene investigators earn a median annual salary of $56,320. Those in the top echelon make close to $100,000. Over the course of the next ten years, the job outlook for CSI’s is expected to grow by 27%. That’s huge! Detectives work with law enforcement agencies, corporations, or lawyers by gathering facts and collecting evidence to help solve a variety of different crimes. A detective will interview witnesses and suspects, examine the records associated with the case, do suspect surveillance, and help with the arrests. Detectives can choose to specialize in areas such as crime or homicide. There are some personal skills necessary to be effective as a detective. Since you’ll be working with all types of people, you’ll have to have strong communication skills, possess empathy, and be perceptive. You will need to be in good physical condition and have excellent stamina. Leadership skills are important because of the nature of the detective’s role because others in the affected community will look to you for answers and guidance. To be considered as a candidate for a detective position, there are a few prerequisites. Keep in mind; you have to be 21 minimally to even be considered for the role of detective. Also, most detectives begin their careers as police officers. With that being said, first you’ll need a high school diploma or GED. Then, there are two degree paths for law enforcement, either an associate’s or bachelor’s degree where you’ll focus on subjects such as criminal law, or other fields related to law enforcement. It is also recommended that detectives take a foreign language such as Spanish because it’s a beneficial skill, particularly in urban environments. All aspiring detectives must go through police academy training once their college education has been completed. Since the majority of detectives are promoted through the police department, it’s important to gain work experience as a police officer. The Bureau of Labor Statistics websites states detectives and police officers earn an average annual salary of just over $60,000. Just starting out in the field, expect to earn an average of $34,170. The more experienced detectives who have put in a lot of time will bring home over $100,000 a year. Job growth between now and 2024 is expected to be about average, at 4%. The Fish and Game Wardens are the superheroes of all wildlife. Wildlife Officers dedicates their lives to enforcing laws for hunting, boating, trapping, and fishing. They protect the lives of animals and people within their jurisdiction. Rain, snow, sleet, or hail, and any other kind of weather, Fish and Game Wardens are patrolling their beat, investigating complaints, collecting relevant data, and pursuing prosecution for offenders. The minimum age for some state departments is 18, while others require you to be at least 21. On the Federal level through the Fish and Wildlife Service, the age requirement is between 21-36. Because Fish and Game Wardens must drive a variety of vehicles, from cars to boats, you must have a valid driver’s license. Having prior experience in all types of motorized vehicle operations is a bonus. Certified peace officers, such as Fish, and Game Wardens, can not have any type of felony charges or criminal record. Because they are required to carry and use firearms, a clean record is needed. US Citizens, or legal citizenship, is another requirement for Fish and Game Warden candidates. Being in good physical and mental shape will also be necessary due to the nature of the Fish and Game Warden job. The job of Fish and Game Warden is mostly outdoors, sometimes in rugged conditions, and can be physically and emotionally demanding. The candidate will have to pass a number of tests and exams in order to prove their physical and emotional fitness. Formal education is expected from Fish and Game Wardens. Some departments accept an associate’s degree, while others may set the minimum at a bachelor’s degree. There are no official certifications necessary to becoming a Fish and Game Warden, aside from the physical exam component. An eligible Fish and Game Warden must have perfect to near perfect vision, hearing, and color perception. There are swimming tests the candidate will be required to pass. Continuing education for Fish and Game Warden careers will allow you to progress in ranks such as a Field Training Officer or in administration. Fish and Game Wardens make an average annual salary of $55,700. But, the general salary range is between $40,000-$60,000 per year. The states that hold the most career opportunities for Fish and Game Wardens are Texas, New York, North Carolina, Georgia, and California. Canine officers have the same duties and responsibilities as the police except for the fact that their partner is covered in fur and walks on four legs. The canine partner of the K-9 officer has been highly trained in multiple skills, such as sniffing out drugs, search and rescue, locating corpses, or finding bombs. It’s your dog’s skills that will determine your specialty area. A main part of the canine officers training will revolve around learning their partner dog’s abilities to create a seamless team package. Since the dog will most likely be living in your home, you’ll need to be best buds with it. Most potential employers expect K9 Officers to have an associate's or bachelor's degree, while many even prefer a master’s degree in criminal justice. You will still need to go through formal police training where you'll learn the rules and regulations, laws on both the state and federal level, how to handle firearms, investigative techniques, amongst other subjects necessary to the education process. To prove worthiness of being part of this highly competitive, specialized area of law enforcement, you’ll need to put in two to four years on the police force. After that experience has been gained, then you’ll be eligible to transfer to a K9 Unit. If and when you’re selected as a candidate to become a Canine Officer, you’ll have to complete the specialized training which will enable you to work efficiently and successfully with your canine partner. Courses such as Patrol Dog Officer handling, bomb and drug detection, and a training period with your new dog will be expected. Canine Officers are a specialized team of elite police. There is no way to determine the job outlook for K9 Officers because they make up such a small portion of most police forces. The salaries of Canine officers usually reflect the amount time and experience they have. Average pay is closest in similarity to that of other police officers and detectives, which is over $60,000 per year. But, with K9 Officers, other determining factors such as location, police force size, and job experience will also weigh into their pay. Typically working on the Federal or State level, the Parole Officer’s primary duty is to deal with people who have just been released from jail. Parole officers help parolees acclimate back into normal life status. They may help the individual with finding a job, or enter substance abuse programs. All in all, a Parole Officer tries to help modify the behavior of the parolee in their care so that they are able to lead productive lives without re entering the system. The Parole Officer tries to achieve this by working closely with both the person and their family. Most employers expect their candidates to have a bachelor’s degree in areas like psychology, social work, or criminal justice to even be considered in the role of a Parole Officer. You may also need to have one year of graduate work in a related field, especially if you will be working on the federal level or if you want to work in the administrative aspect of the field. After schooling, you will be headed into training. Every state hosts different requirements, post graduating from college so it’s important to research the expectations for your state of employment. There are a variety of exams you must complete and pass before working as a Parole Officer. There is a physical exam which tests all aspects of your health, and physical strength and stamina, a psychological evaluation which will determine if you’re mentally capable of handling the aspects of the job, and there is also a knowledge-based exam which will test you on how well you’ll be able to handle parolee’s. Prospective Parole Officer candidates must be between 21-37 years of age, hold a valid driver’s license, pass a drug screening, a background check, and have a state-issued license to carry a weapon. According to the Bureau of Labor Statistics, the May 2015 report states that all Correctional Officer jobs, such as a Parole Officer, earns an average annual salary of $49,360. This number is a national average meaning some states pay more or less than others. Entry level salary is an average of $32,900 while the more experienced Parole Officer, which is at the top 10%, earns an average salary of more than $86,000 per year. A little slower than average job growth is expected between now and 2024, at 4%. In 1955, the Los Angeles Police Department, along with BEAT magazine, held a contest to come up with a Police Academy motto. The winner was “To Protect and To Serve”, which had been created by Officer Joseph S. Dorobek. This motto went on to become one of the most recognized mottos in the nation. To Protect and To Serve is exactly what our police officers have sworn to do when entering into the field. Police officers enforce laws on the local, state, and federal levels. Unless they are working undercover, Police Officers are easily identifiable because they wear uniforms. Typical job duties of a police officer include responding to calls of both emergency and non-emergency nature, conducting traffic stops, patrolling assigned areas, obtaining warrants and making arrests, working crime scenes, and performing administrative duties such as filling out paperwork. To become a police officer, some minimal requirements must be met. You must graduate high school or have a GED. Some employers expect their candidates to have either an associate’s or bachelor’s degree, with a bachelor’s degree becoming most preferred, but this varies by police department. Typically, the route to take is through a criminal justice program or a police science degree program. Then, there is the background check and physical exam. Again, each state has their own process. There may be interviews held with friends and family to inquire about you, as a person. There will possibly be a credit review check, but there will definitely be a very well-rounded look into any criminal history. Expect a physical exam which will conclude whether or not you are physically capable of handling the job, as well as a psychological evaluation. You not only have to be physically capable to be a police officer, but mentally, as well. Once you decide on your specialty field, whether it’s narcotics, organized crime, property, or any other, then you’ll go onto the Police Academy. Police Academy is a necessary part of becoming a police officer. Each state has its own academy requirements. Median annual pay for Police Officers is over $60,000, according to the Bureau of Labor Statistics. Entry level police officers will earn an average of $34,000 while the top 10% will make well over $100,000 per year. These numbers are average and may look different through each department throughout the country. At a projected 4% job growth through 2024, this much slower than all other occupations. However, because officers are constantly retiring, job openings will remain stable. Private investigators work in a lot of different environments such as law firms, private individuals, companies, and insurance firms. Some private investigators have years of relevant experience while others just happen to find themselves falling into the line of work. Private investigators are key players in many criminal investigations, missing persons cases, and other ‘mysteries’ that need help being solved. There are some important qualities necessary to those wanting to become Private Investigators. You need to be inquisitive by nature, your favorite punctuation mark is a question mark. Patience is one of your greatest virtues, or you at least work super hard at it. You’re a fantastic communicator, and you do equally well with your listening and decision-making skills. And you’re like MacGyver when it comes to being resourceful. If you’re thinking about becoming a Private Investigator, there are some educational requirements that must first be met. You’ll need your high school diploma or GED. Depending on what area you want to work in, you’ll need anywhere from an associate’s degree to a bachelor’s degree in criminal justice or political science. Typically, private investigators start out in law enforcement or the military, where they’ve gained real-world experience. However, once college degrees are completed, expect to have a few years of on-the-job training. Each state has its own set of requirements when it comes to certifications and licensing for private investigators. So, it’s important to check with your area to find out more. As of May 2015, Private Investigators earned a median annual wage of $45,610. Entry level Private Investigators made $26,920 and the more experience PI’s brought in over $85,000 per year. Private investigators hours are irregular, especially when they are in the throes of a case. But, many work long hours and have to work weekends and holidays. Projected job growth through 2024 is 5%, which is average for most occupations. With increased crimes via the internet, as well as other types of fraud, there will be a strong demand for private investigators. Sometimes, offenders are given probation in lieu of jail time. With probation, a Probation officer is assigned to the individual to ensure the offender is staying on track with the terms of their probation. Probation is a daily occurrence so probation officers typically have close contact with their wards to help them, guide them, and hopefully prevent them from reentering a life of crime. Caseloads vary for Probation officers and sometimes, they can be overloaded and overworked. The daily duties of a Probation officer may vary on a case-by-case instance but typically they will meet with family and friends of their cases. They will perform drug screenings, and offer substance abuse counseling. They may help the probationer find a job, as well. Probation officers are the ones who determine the best course of action for their probationers, and they try to help them get their lives in order. Most federal Probation officers are expected to have a bachelor’s degree, minimally. In some instances, a master’s degree is necessary. Most employers will require a drug screening, background check, and competency exam prior to being considered for a probation officer position. There is also a certification exam on either the local or state level, depending on the location. The minimum age requirement to work as a probation officer is 21. 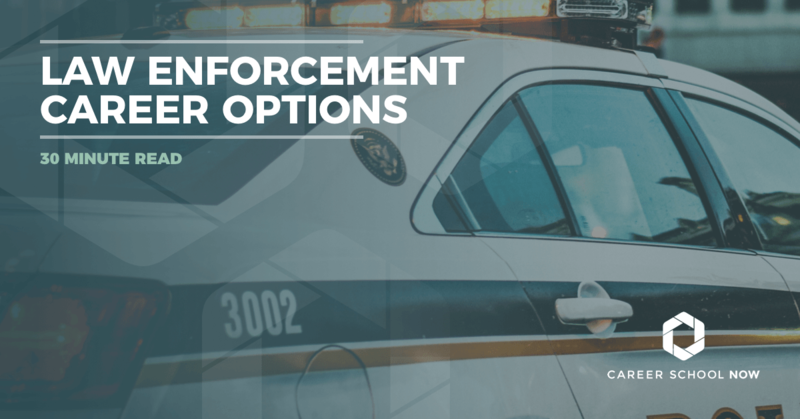 Federal, state and local law enforcement agencies each have their own educational requirements, and they vary by location. Typically, a bachelor’s or master’s degree in psychology, social work, criminology, or criminal justice would be the most recommended route to take. With an associate’s degree, chances for a probation officer position will greatly improve with experience in areas corrections, social work, psychology, or criminal investigation. There are a few important qualities a good probation officer should possess. Because probation officers are in constant contact with their probationers and their families, as well as other law enforcement, they should possess excellent communication skills. Probation officers need to be excellent at problem solving, decision-making, and critical thinking, as well. Due to the fact that some of the cases will involve highly emotional subject matter, probation officers need to be mentally stable. Probation officers earn an average annual salary of $49,360. Entry level salary is $32,900, while the top 10% earn an average of $86,140. These numbers are only the national average, jurisdiction and experience may make paychecks look very different everywhere. The Bureau of Labor Statistics website predicts a 4% job outlook which is a little slower than the 5%-7% average. However, job openings should be plentiful due to retirements and other such reasons. Malls, banks, apartment buildings, and other establishments ensure the safety of the people by hiring security guards. Security guards make sure there are no illegal actions taking place on the premise they are hired to watch over. You’ll find security guards positioned behind a front entry desk or wandering around the area, keeping an eye on things. Another type of security guard would be a gaming officer. Gaming officers are hired to protect casinos where they use audio-visual equipment to monitor gaming tables and machines for any illicit activity. Depending on the place of employment will determine the exact job duties of a security guard or gaming guard. If you’re considering a job as a security or gaming guard, you must be at least 18 years of age and have a high school diploma or GED. All 50 states require any type of security guard to have a license to carry a gun. Gaming officers do need to have knowledge on how to work the electronic equipment used at casinos. There will be random drug tests given, and a detailed background check. There is not a formal education requirement for security guards. Most employers provide on-the-job training for their new-hire security guards and is usually taught in a matter of a few weeks. However, many states require a certain amount of training hours, along with additional annual training sessions. Armed guards can expect more rigid training than most other types of security guards due to the weaponry they use on the job. Most states require that all security guards be licensed. Important qualities for security guards to posses in order to succeed at their job are strong decision making skills, which will probably be in a constant state of testing, as well as excellent observational skills. A great security guard should be in top physical condition, and have the patience of a saint. The Bureau of Labor Statistics states that, as of May 2015, Security Guards median annual salary was $25,630. Gaming officers earned, on average, $31,170. The more experience, the higher the pay. The job outlook for security and gaming officers is about average at 5%. Job opportunities are still expected to be excellent for many reasons. For example, openings are constant due to retirements or those leaving the positions. Those with background in law enforcement will have an edge in the hiring process. As a sheriff, you’re responsible for your county or regions law enforcement. The job of sheriff is highly stressful yet so rewarding. A sheriff works alongside other law enforcement officials to uphold the laws of the land. Sheriffs may catch and arrest suspects, give citations, deliver warrants, patrol areas, and appear in court. Other job duties of a sheriff could include confiscating property, manage emergency situations, and question witnesses. Sheriffs, along with police officers, put themselves in the line of fire on a daily basis so the job comes with hazards. The job of sheriff is similar to that of a police chief. You don’t just become a sheriff, you have to be voted in. However, there are things you have to do in order to even be eligible to run as a sheriff. First of all, you have to start out as a police officer. You’ll also need a bachelor’s degree from a criminal justice or law enforcement program. Depending on which jurisdiction, you’ll have to work one to five years as a police officer. Once you’ve filled the requirements, you can file the necessary paperwork and run for your county sheriff. If you’re lucky enough to be elected, you’ll have to swear in an oath, and agree to a contractual bond. Salary.com states the average salary of a Sheriff is $101,772 as of November 30, 2016. The average salary range is between $96,098-$107,951. Of course, salaries are dependent on the state or jurisdiction of the sheriff. The main difference between a Sheriff and a Deputy Sheriff is that a Sheriff is an elected position. While many states don’t have formal education requirements outside of a high school diploma or GED, look more favorably on potential deputy sheriffs who have an associate’s or bachelor’s in criminal justice fields. A deputy sheriff’s main purpose is to enforce law and order as they fight to prevent all types of criminal activity in their county. Like a police officer, the deputy sheriff patrols assigned areas, investigates complaints and potential crimes, makes arrests, interview all involved with a case, and testify in court. Deputy sheriffs are usually hired by the county the work for. As states, there aren’t any educational requirements other than a high school diploma/GED. Most likely, there will be a civil service exam necessary to pass before gaining admittance to the deputy sheriff training program. To improve your resume, and give you a leg over competition, an associate’s or bachelor’s degree is definitely highly recommended before even heading to the deputy sheriff training program. However, it’s not unheard of to do it in the reversed order. To actually become a deputy sheriff, once all the training and education has been completed, there will be a background check, drug screening, and a physical test. The background check will show if you have any felony convictions you haven’t shared, and the physical test will make sure you’re in good enough condition to act as a deputy sheriff. Indeed.com says the average salary for a deputy sheriff, as of December 2016, is $47,000. The Bureau of Labor Statistics does not have any listings specific to sheriff or deputy sheriff, as far as salary and job outlook. The closest position would be police and a sheriff patrol officer, and their average salary is $58,320. The job outlook for deputy sheriff is not stated, but the law enforcement outlook on a whole is a little under average, at 4%. However, in law enforcement agencies, there are constant retirements creating job openings. As a specialized police officer, a transit police officer is hired by transit companies such as railroads and buses. They investigate crimes committed towards or by passengers. Crimes such as drugs, fraud, assault, and robbery are all given to the transit or railroad police to handle. They either work directly from the transit company or are from a specialized unit in the police force. To begin training as a transit police officer, you must have your high school diploma or GED, and be at least 18 years old. The local transit authority is who the training is carried out through. Educational training requirements vary, some areas expect 1,000 hours while others only require 100 hours. Necessary skills for transit police officers to possess are good physical strength and stamina, excellent communication skills, and exceptional perception and observational skills. There will be physical and psychological exams given to those entering careers as transit police officers. The Bureau of Labor Statistics states the average annual salary of a transit police officer is $59,670. The job outlook is similar to most other law enforcement careers, which is a tiny bit below average at 4%.